This FAQ is for BeerSmith 2! 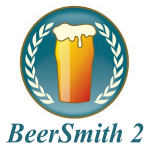 If you are using BeerSmith 3 please refer to the BeerSmith 3 FAQ instead! 1. Can I use BeerSmith on more than one computer? Yes, you can use one BeerSmith activation key on up to TWO computers (PC or Mac) as long as both computers are for your personal use. For example installing on your laptop and desktop computer would be fine. Sharing or giving a key to another person for their use is strictly prohibited. 2. How do I install or upgrade BeerSmith? 3. Can I Share Recipes Across Computers or to my Mobile Device? 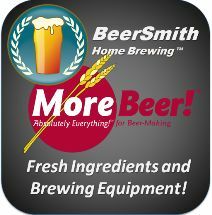 BeerSmith has the BeerSmithRecipes.com server that lets you share recipes across devices using your cloud folder. Videos on its use here. This service also works with BeerSmith Mobile so you can work seamlessly between your mobile and desktop version. 5. What’s the fastest way to get started with BeerSmith? Follow the instructions on the equipment page or the “setting up equipment” video. 7. Where is my data stored? How do I back it up? 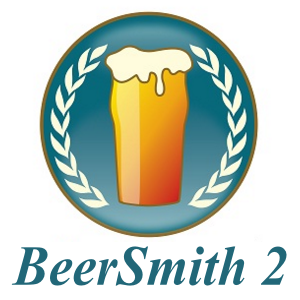 BeerSmith 2 stores all of your data under the Documents/BeerSmith2 directory by default for easy backup. In BeerSmith 2 you can also change the data directory using the command to change directories on the File menu. If you change installation directories, BeerSmith will overwrite any data you have in the new destination directory, so please be careful when performing this operation. 8. I’ve lost my registration key – how can I recover it? Download and install a fresh copy of BeerSmith, then go to Help->Recover key on the menu and enter the email you used when you activated BeerSmith. A video of the process is here. Note this will only work if you entered an email when activating BeerSmith. If that fails you can try contacting us using the link at the bottom of the support page. 9. What are the Minimum System Requirements? 10. What is your Update/Upgrade Policy? All minor version updates such as 2.1, 2.2, 2.3, etc… will be available for free. Major upgrades (version 2.3 to 3.0 for example) will require a new purchase. 11. Why are the Hop IBU numbers different than in BeerSmith 1.4? An additional hop adjustment of approximately 10% was added to compensate for pellet hop usage, as the hop equations were originally developed with whole hops. This was not accounted for in BeerSmith 1.4 but we added this addition in BeerSmith 2 which will raise your IBU numbers about 10% if you use pellet hops. You can also adjust this 10% factor if desired from the Hop options page under the Options dialog. We also made a minor adjustment to the hop utilization to account for batches with large trub/chiller losses – this generally will change your hop estimation significantly only if you have large trub/chiller losses relative to the batch size. 13. Will BeerSmith Run under Linux? While not an officially supported platform, BeerSmith 2 will run under Linux using a PC emulator such as Wine. There are some limitations (see the bullet before this regarding the Microsoft VC runtime). For the latest details, please check the Linux/Wine FAQ page and also the discussion forum. 14. Are Foreign Language Editions of BeerSmith available? A number of volunteer teams have started translating BeerSmith 2 to several languages including French, Italian and Portugese. If you wish to join one of these teams please use the contact us link at the top of the page. 15. What about BeerXML support? BeerSmith 2 does support BeerXML importand export. From File->Open (or Export), use the drop down in the open/save dialog to select the “BeerXML” format. 16. Can I use my BeerSmith 1 Recipes with BeerSmith 2? The second method is simply to export your Recipes using the Export command in BeerSmith 1 (BSM format), move them over and then open those files in BeerSmith 2. Once you have the BSM file open in BeerSmith 2, please copy/paste the items you want into “My Recipes” folder. For ingredients, export from the respective ingredient view and then copy/paste items desired into the respective ingredient views in BeerSmith 2. 17. Is BeerSmith available for the Macintosh?